We weren’t short for anime reviews last week, although I couldn’t quite stick to my usual schedule of one review every two days. Youtube has been distracting me of late. Thankfully, Stuart McLean filled in one of the gaps with his review for Junjo Romantica Season 1. 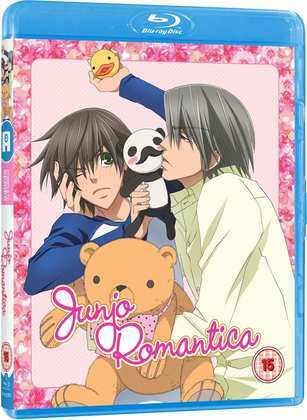 There aren’t a lot of shows about male romance released in the UK, or indeed in the West as a whole, but Junjo Romantica is one of the better known titles. It makes its UK debut on Blu-ray. Click on Stuart’s review to see how it fares. Formulaic anime quickly turns me off, especially when the anime companies release a whole heap of identikit shows in short order. I’m currently taking a second look at the show that defined the genre of a teenage boy alone in an all girls school/tournament fighting anime adaptation of a light novel, Infinite Stratos, and I’m thinking that it might just be my last viewing of that show. Yet when it comes to The Asterisk War Part 2, I may be more favourably inclined. While it sticks to the formula like glue, there’s something about its sense of fun and its likeable characters that make it a lot more palatable. The ending might not be so hot, but up to that point, The Asterisk War is very watchable. 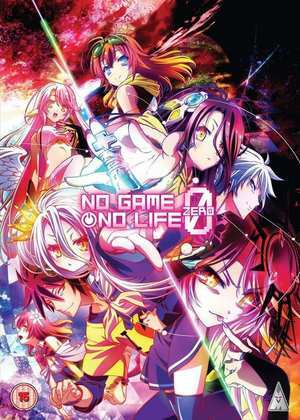 The pleasant surprise this week came from the No Game, No Life: Zero movie. I didn’t have a lot of high hopes for this spin-off of the lost in another world tale, the visually challenging series that saw races battle for supremacy in a series of games. The film is a prequel set in the distant past, with a different cast of characters, and in a time before all the games. It’s a war movie set in a fantasy world, potentially quite bleak. Yet it hit all the right emotional notes, with a couple of appealing central characters. The unpleasant surprise came from the Urusei Yatsura Movie 2: Beautiful Dreamer. It’s a film that I have wanted to see for years, the missing gap in my Urusei Yatsura movie collection. I missed out on the original release, but earlier this year it got a license rescue and a re-release. It’s another adventure of the perverted Ataru Moroboshi and his alien fiancée Lum, and this time the world goes all weird on the eve of the school culture festival. It’s renowned as director Mamoru Oshii’s UY masterpiece, but I think I just left it too long. It was a case of hyperbole creating expectations that couldn’t be met. 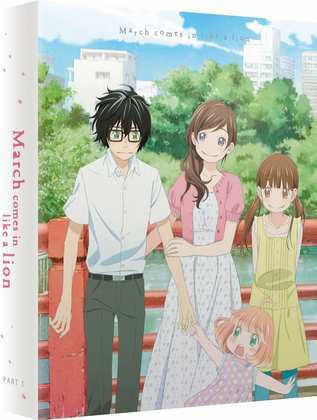 I concluded the week with a review for March Comes in Like a Lion Season 1 Part 1. Now a name like March Comes in Like a Lion sticks in the mind as soon as you hear it, a marketer’s dream, but I honestly knew nothing about the show before I watched it. It turns out to be a light comedy drama, a slice-of-life show that revolves around the Japanese board game Shogi. It’s also a nuanced and very affecting study of the effect grief and loss can have. I was certainly impressed with how the show panned out, as you can see if you click on the review. Patlabor The Movie 2. Mamoru Oshii again. This is an odd one; as I loved the second Patlabor movie the first time I saw it, an intelligent, adult story that looks at the phenomenon of politically motivated terrorism. It was a lot more cerebral and contemplative than I expected from this particular medium, and I could appreciate the hype that surrounded it, as one of Oshii’s ‘lost’ classics. But since I watched it, then preferring it to the first film, I’ve bought and watched the Patlabor TV series, I’ve seen the two OVA series, and that has coloured my perception of the second movie. It’s as if someone has taken the Patlabor universe, the characters, and shoehorned them into a plot that just doesn’t fit. The characters are unrecognisable (not helped by the change in design), and there’s something just wrong in seeing Noa having outgrown Alphonse. It’s like the first time you heard that Santa Claus wasn’t real. 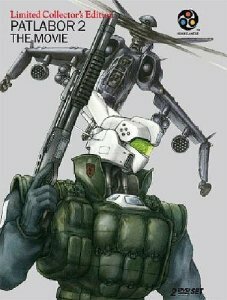 It’s a great movie, but it just doesn’t feel like Patlabor. Patlabor has had a long and interesting ride in the UK, especially when it comes to the movies. Originally released by Manga Entertainment, you might be able to find the twin pack DVD second hand. Then the licence fell to Bandai and Beez, and the films got re-mastered, with new sound mixes, and a new English dub. Beez released them as jaw-dropping Special Editions in the UK, and looking on Amazon I see that they aren’t as sold out as I thought they were, although you do have to pay through the nose. Beez also released them as standard DVDs, and those too are rare and expensive. What we need are the Blu-ray releases, but those are US exclusive, and locked to Region A. Here’s my review of the second movie. The films deserve a UK re-evaluation, but Patlabor has never performed spectacularly well in the UK, and I guess distros are twice-shy. All the Anime released Junjo Romantica Season 1 on Blu-ray on the 29th of October, and that’s also when they released March Comes in Like a Lion on Collector’s Edition Blu-ray. 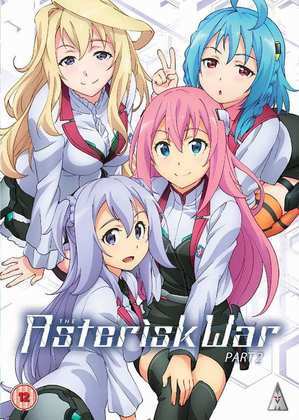 October 29th was when MVM released The Asterisk War Part 2 on DVD and Blu-ray while No Game, No Life: Zero is a little more staggered. The DVD came out today, the BD/DVD Collector’s Edition comes out on December 3rd, while the standard Blu-ray comes out on January 28th 2019. As mentioned, Discotek Media released Urusei Yatsura Movie 2: Beautiful Dreamer on Blu-ray and on DVD earlier this year.